Not all truss projects involve six months of design and engineering, three months of shop fabrication, five weeks of assembly and one day of lift time. 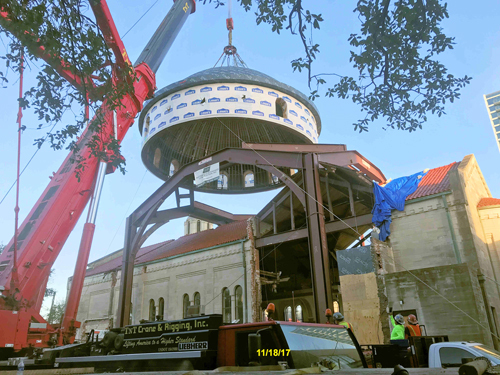 Yet that’s what took place with the Annunciation Greek Orthodox Cathedral project in Houston, Texas. Cascade was brought in early by Radius Track for collaboration on the integration of our segmented truss with Radius Track’s design of the full truss assembly. Take a look at this video to get a sense of the logistics involved with the truss installation and erection. Our thanks to Marek Brothers’ Houston office for allowing us to share this video and our customer, Radius Track Corporation, for their confidence and business.